Merry Christmas from Karl Bastian and Team Kidology! 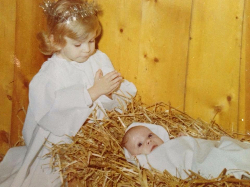 I was only a few months old when I participated in my first nativity re-creation with my big sister. I don’t remember it, of course, but I am so thankful for my mom and dad who made Christmas special every year – and who made Christ the focus of our celebration. There are so many wonderful distractions this month – most of them good things! But the DAY has finally arrived. No more waiting. No more anticipation. No more shopping or lines! No trying to find a parking spot! The day is here. Time to Chill. Eat. Laugh. Relax. Give gifts. (And get some!) Some of you may not even check e-mail. That’s good! But if you peeked, I just want to wish you a Very Merry Christmas from my family, and everyone at Kidology. Isn’t it cool that on Jesus’ Birthday we all give gifts to each other? But the Greatest Gift can never be topped! In the midst of all the activities, be sure to find that quiet moment to simply reflect on that Gift and how much a difference He has made in your life. We can get so busy sharing the Good News with others we forget to just bask in it a little for ourselves. P.S. Want to watch something fun? Here is a fun Christmas Toybox Tale I made years ago that illustrates a party where everyone is giving gifts, but they forget who’s birthday party it is! Perhaps your kids will enjoy watching: A Birthday Party for Who? Cubs? Sox? Free Tickets Buy My Fandom! 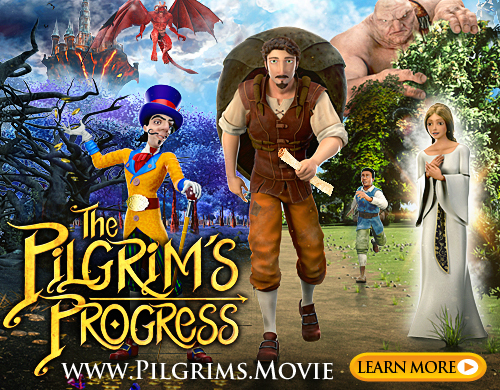 WIN a FREE What's in the Bible Christmas Series!